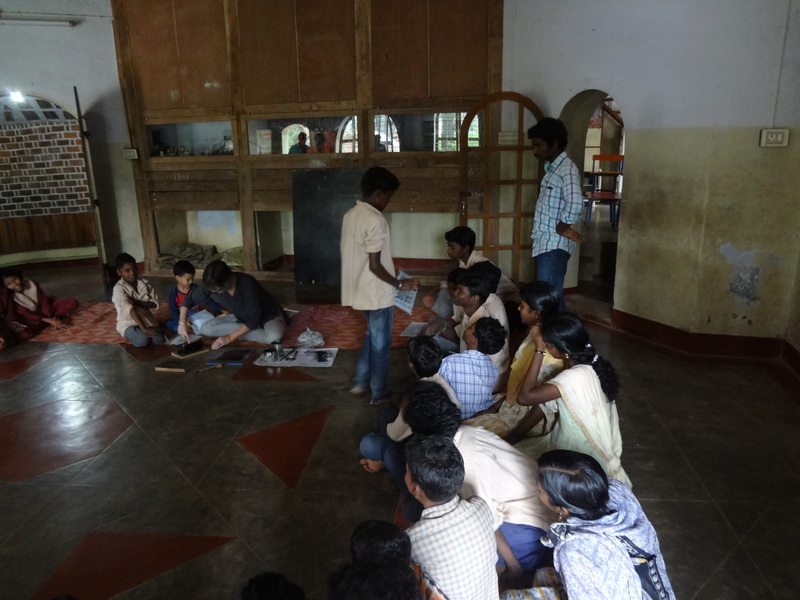 Last Thursday and Friday we visited the Vidyodaya School in Gudalur with Azim Premji University. APU is interested in enrolling students from a diverse set of backgrounds and went to talk to potential students. Venkatesh and I went to take part and we brought our son Ashwin with us. Initially he didn’t want to go, until he saw the Gudalur yellow autos, and then he didn’t want to leave! In order to get to Gudalur we had to drive through the Bandipur (in Karnataka State) and the Mudumalai (in Tamil Nadu) Tiger Preserves. There we saw deer, rhesus monkeys, langur monkeys, wild boar, elephants, mongoose, peacock and sloth bear. No tiger I’m afraid, but the sloth bear – mother and child were a rare and exciting sight. We stopped to look at some langur monkeys on the side of the road and two jumped on our car to peek into the windows. Usually langur are shy, but obviously people have been ignoring the signs that warn against feeding the wild animals. One wouldn’t jump off until we started slowly driving away. 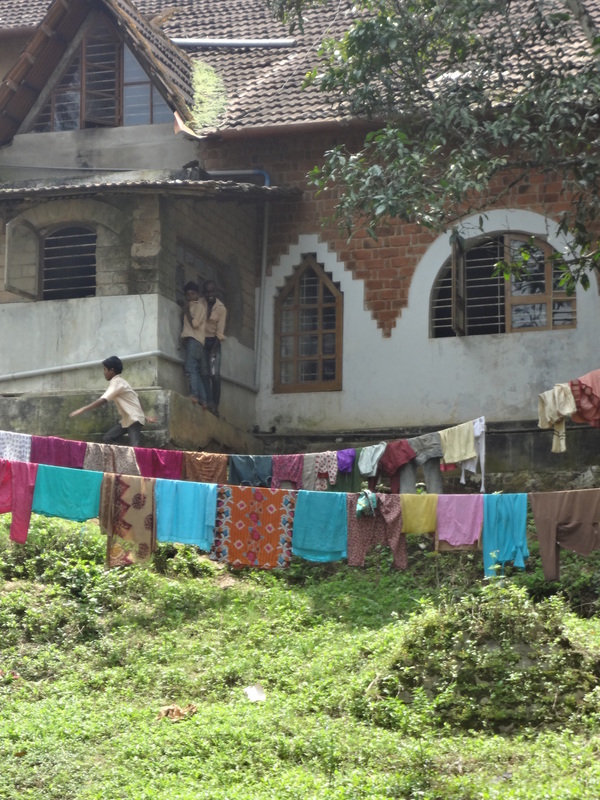 Vidyodaya School is an amazing place, set up to educate children from the Adivasi Tribe who live in the forest near Gudalur. I was asked by APU if I would make a presentation to the school kids, so I read my book ‘Sound Horn Okay’ to them while a school teacher translated explanations of each page. I think it was a bit of a flop as these kids come from the forest and haven’t been exposed to all the various forms of wheeled transportation. 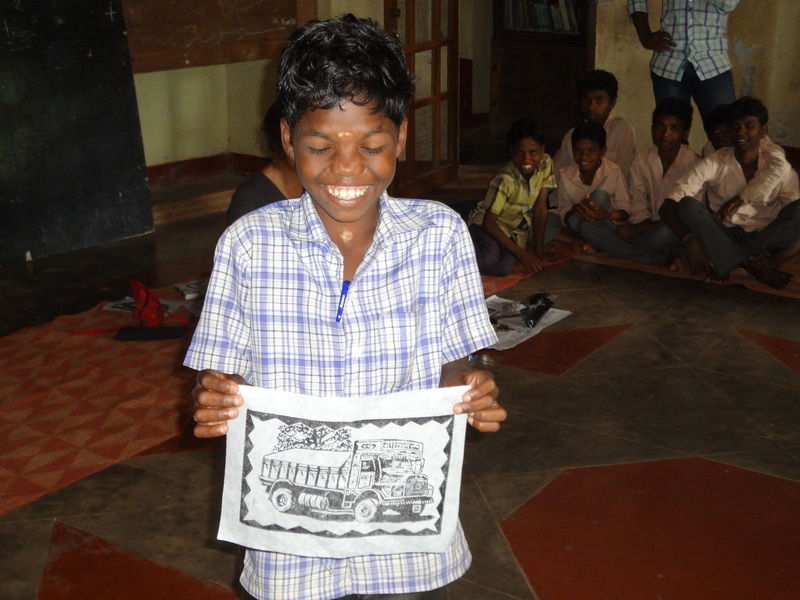 But then I demonstrated the block printing technique by inking a block with a carving of an auto rickshaw and laying a sheet of paper over it. When I peeled back the paper for the first print there was an excited gasp. They loved it! I encouraged them to come up and press the paper onto the block with the baren and help me peel the print. They were so happy to touch the materials and to see the results. It was a fantastic experience for me and I think for them also. One young man wanted to try inking and printing one on his own and asked me to teach him how to make prints. I had to leave after the demo, but I spoke to him for a while about various prints that can be made simply. I have also been asked to come back for a one day workshop, so I will try to fit it in during this trip to India. 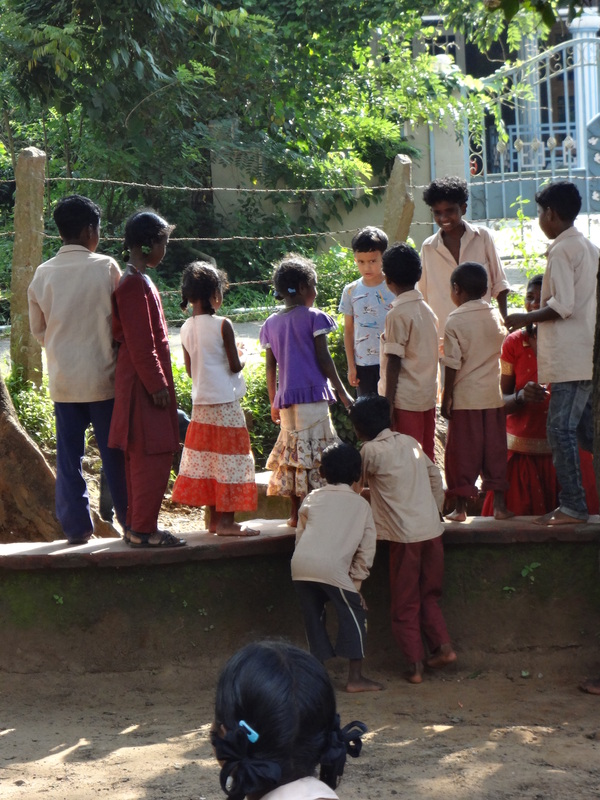 I would love to go back – these kids are so well behaved and so genuinely curious. It was a joy to meet them and talk to them. Check out this beautiful video made by a 9th grade student after completing a video workshop. These kids are amazing! Ashwin was a little less impressed and he took some time to settle in. 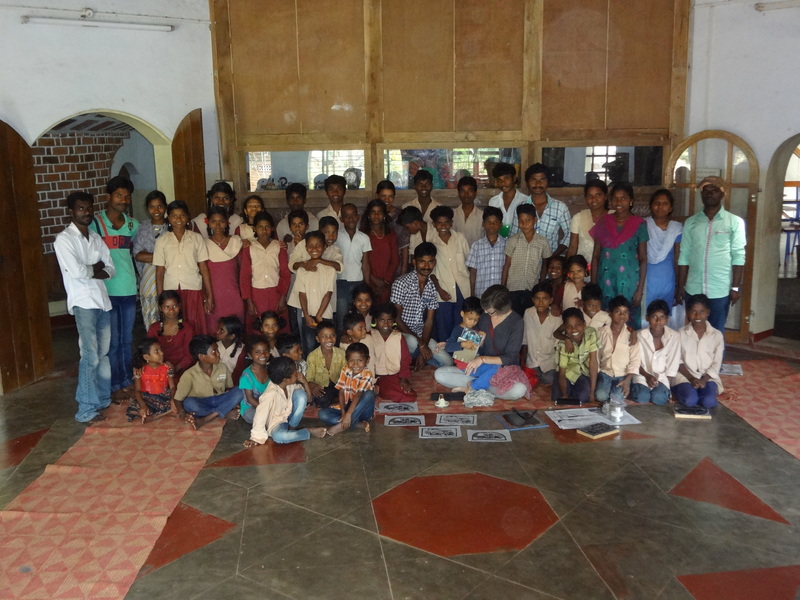 The Adivasi kids are a very close knit group and they were very curious about him. 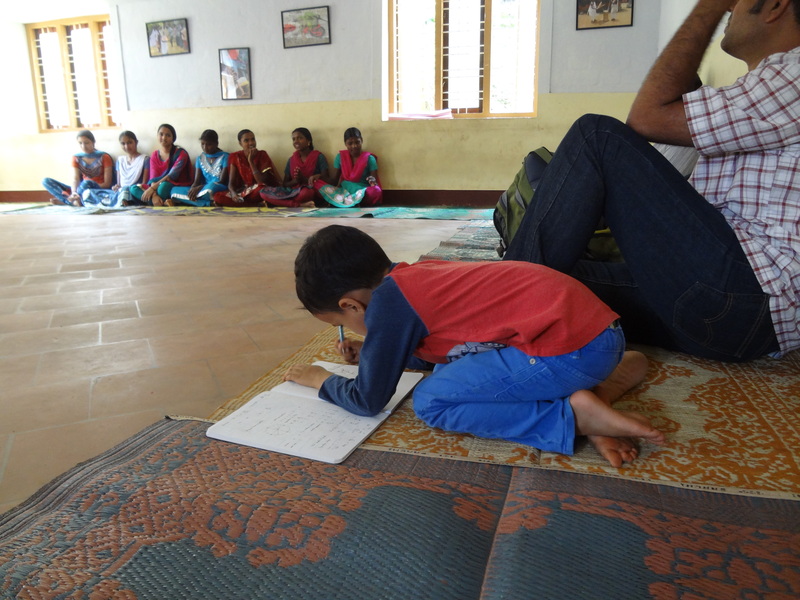 Ashwin didn’t want to stay with us during our meeting, so we let him go off with the kids and figure it out for himself. He spent some time running, hitting, screaming and generally behaving badly before he settled in to play. I knew the local kids could fend for themselves, so I let him run wild and free until eventually they were playing together.